The four little heritage hotels and renovated studios that make up the family-owned Hôtels Nouvelle-France are located in charming and picturesque neighbourhoods in Old Québec. Whether travelling for business or pleasure, guests will find tastefully renovated rooms fit for all styles and occasions within the walls of the Hôtels Nouvelle-France. 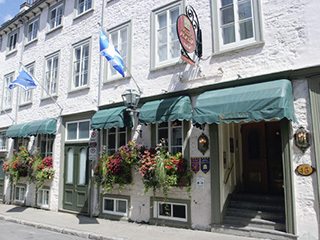 Treat yourself to a cosy, pleasant experience with a stay in Old Québec. Packages are now available that include attractions, activities, visits, promotions and more! When you stay in one of the Hôtels Nouvelle-France establishments, you’ll not only experience the history of a unique city in North America, but also the festive tradition and modernity of a society open to the world.